Routine Maintenace – before you start. Oil in reservoir 2/3 full (S bloc), grease reservoirs, fan blades, air filter tight, gear selection, inverse directional lever, fuel level, grease on wheel clutches, operation of all levers. 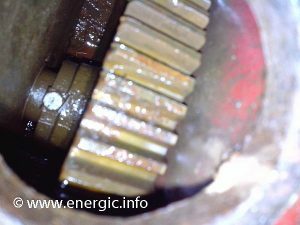 Frequency; every 50 hours of work.The sump plug is found under the engine at the center at the lowest point in the crankcase. 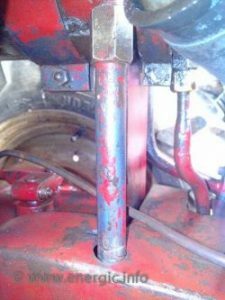 To access the plug you approach from under the chassis, where there is a hole just large enough to place upwards a squared holed Allen key (female). The size of the square varied slightly between 8mm and 10mm. I have never retrieved a complete tool kit for the Energic motoculteur B5, C7 and D9 that includes this vital key. Periodically you should totally empty the oil reservoir (for S bloc C7 and D9 only) to clean the tube like gauze metal oil filter to the down feed pipe. 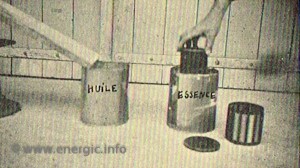 The hand book says “burn off” the offending oil or debris. Caution should be taken here. 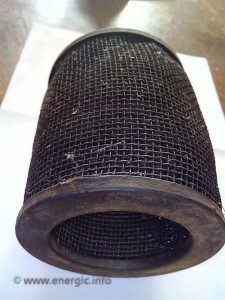 Use petrol or solvents on the metal filter but you must disconnect the feed pipe to the engine before attempting the cleaning process. 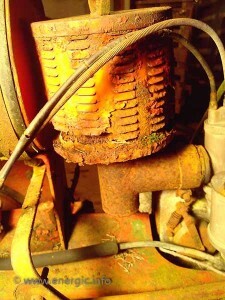 Refer to the section on “Fan assembly and grease systems”. 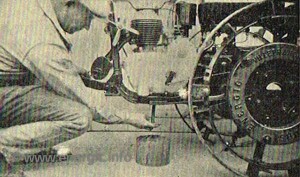 The original air filter element was made from metal and could last a long time with frequent maintenance – see below. Many have been replaced by paper, paper immersed in light oil/colza, sawdust+ light oil, rags in oil you name it! There is no set frequency for the cleaning of the air filters, it all depends on the conditions in which the machine is working in. Dry dusty conditions need more frequent inspections and cleaning. The method in the hand book states that you should immerse the metal element in petrol until it is clean. 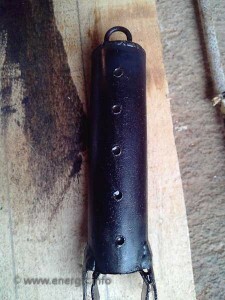 Then dry off and place in oil, then drip dry off then place in the outer casing. Metal air filter dimensions Height 11cms, outer width 10cms and inner width 6.8/7cms. 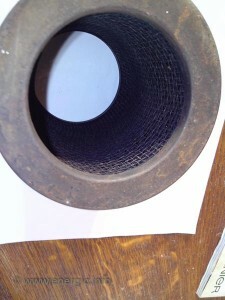 Construction outer and inner surfaces metal mesh with metal rim capped each end. 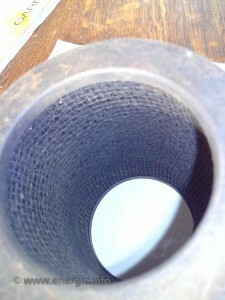 Inner construction metal gauze. The casing that surrounds the elements is of a louvered type see below, later was models where solid with holes in the bottom covered by a gauze see B. Many of the original louvered outer casing suffered from corrosion and water ingress and where replace with the later type. 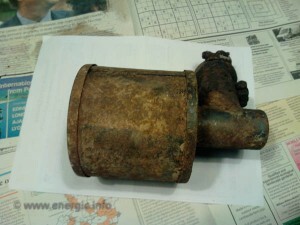 Water ingress causing corrosion that destroys the outer. 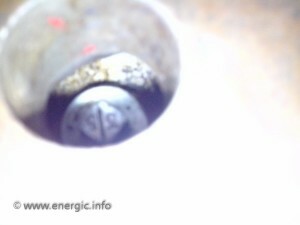 Keep your Energic element clean at all times it really does effect the performance of the moteur. 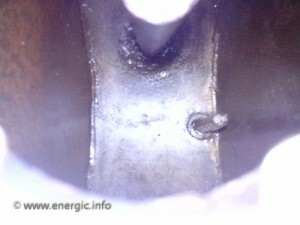 Check the spark plug for carbon/soot, corrosion and spark plug gap. 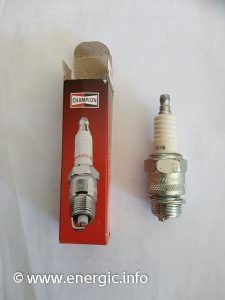 Early Energic motoculteur models B5, C7 4BL and some D9 5BL models used a smaller diameter (14mm) spark plug or size 10. Such as the new replacement Bosch RO 10 542, UK 10 Champion, or the NGK 3993 BR10EG. the aperture change with the 408 models. (left spark plug option). 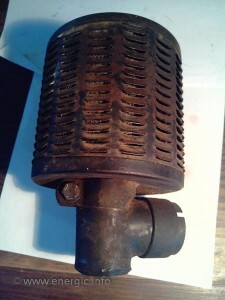 The new S Bloc engine, late 1934, used a larger diameter (18mm) spark plug. Such as the new replacement parts of a D16 Champion or a NGK AB6. I have seen the spark plug threaded hole, in the cylinder head, re-bored to a larger diameter to fit a D16 champion. 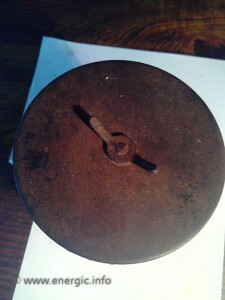 Unscrew the inspection hatch and slide aside, view we a torch the condition of the final drive and look at the oil on the cogs. 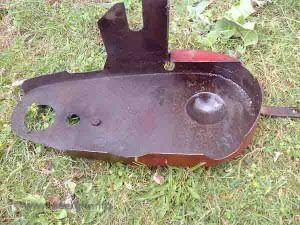 Seal the inspection hatch with a coating of grease after you place it in the closed position. 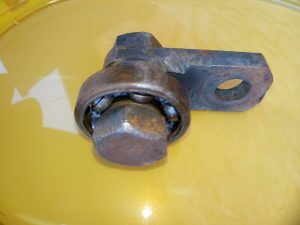 Tighten the wing nuts – seal. Do not let the chain get into this state! Periodically oil the chain. 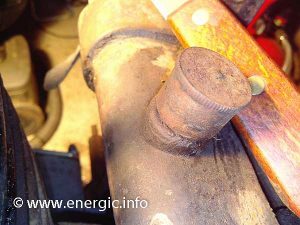 Can be done with out removing the chain guard – If you remove the overflow pipe from the oil tank, then you can drip oil through the hole on top of the chain guard. 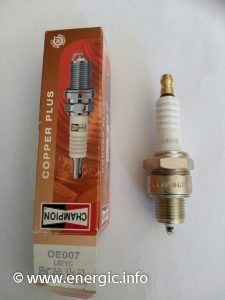 Rotate the engine manually, making sure that you disconnect the spark plug lead to avoid any hazards. 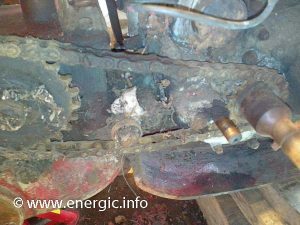 If you take off the chain guard then you can get a better access to the chain and the chain tensioner, which you also can oil/grease and adjust for the correct tension on the chain. See more on the Chain and tensioners page here.